Kani Panapa says that Napier's parking guards do not do as much abuse as those in Wellington and Hamilton. Laughing at the phone Kani Panapa insists he is not dying. 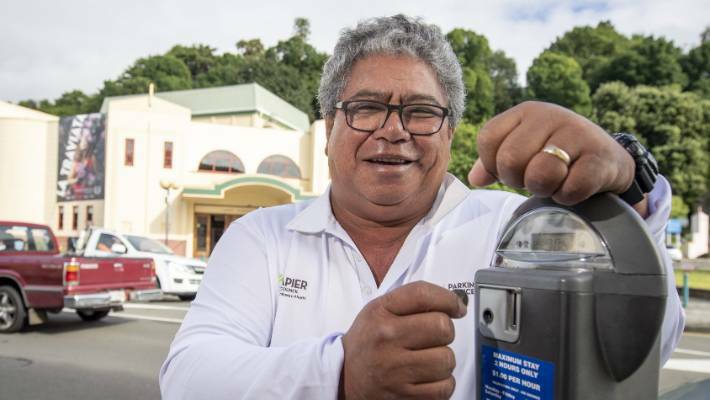 The parking agent Napier has been a guardian for nine years and he loves it – and he is not worried that an increasingly moneyless society will make his position useless. "What we do is that we go around and if we are beyond the time limit, we take care of that side," he says. "If we just try to help people if there are problems … you get abuse, but it's just part of the job." 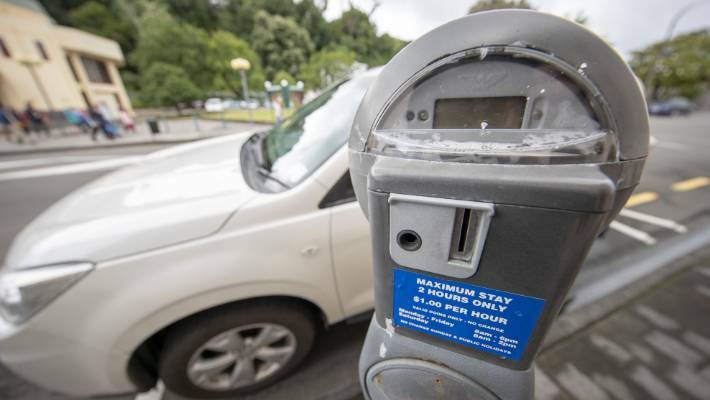 The last of the country's councils that use pay-by-coin parking does not look forward to abandoning the lollipop machines, but is hampered by locals not ready for transition. In Marlborough, where the streets are lined up with two types of payment machines to meet those cards or slanted money, they are planning to combine the two. "[Lollipop meters] they have been used for some time, however [they] they are coming to the end of their useful life and as such they should be replaced with modern technology, "said a Council spokesman, but while his preference was for people to abandon money because of" theft of coins and vandalism "of His meters, residents told the council that they are worried about charging additional fees from their bank or credit card, he said. Some tips say that their residents may never be ready to give up parking coins completely. Therefore, the new digital option that replaces the Marlborough meters will have the payment of a currency. Near Nelson, where coin machines are more than 10 years old, the council was forced to reconsider the replacement of technology after a survey of hundreds of residents revealed that almost half said they would continue to use coins depending on the choice. People in Napier showed "a strong preference for cash," according to his advice, and in Whangārei, the engineer of his board of directors Greg Monteith blamed the local preference for paying coins on an older population. "I do not think they are ready not to get away from it." Last year, Auckland parking operator in Waiheke Island Duncan Quinn resigned after 20 years, accusing the Auckland Council of turning parking into a "cash cow" and saying that the new technology had added to the difficulty of the role, including online systems that took much longer than paper receipts. But Panapa believes that giving up money is easier for parkers. "A lot of sales representatives like it because not many of them carry coins and stuff, and it's easier for them to use the app, they can just get in, do what they have to do and leave."